Writing A Lab Report: Everything A Student Should Know To Succeed! A lab report is the most essential party in any laboratory study. It takes a lot of work, and, unsurprisingly, has a huge influence on your overall grade. Unfortunately, even after creating a dozen of lab reports, some students still don’t know the right way to do it. 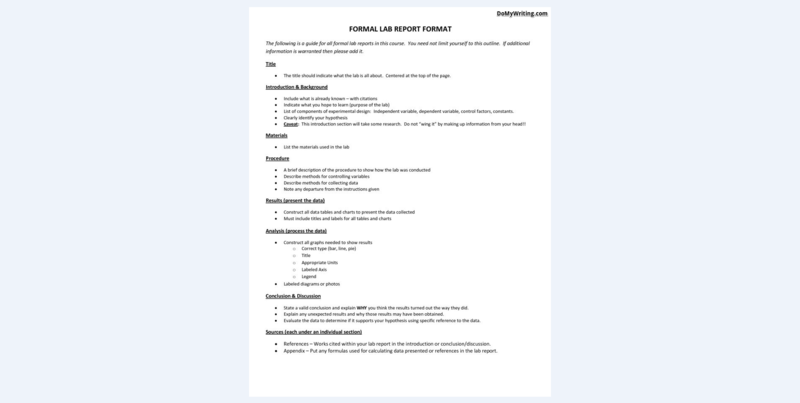 The guidelines for writing the lab report can be given to you by your instructor, but if that’s not the case in your institution, you’ll have to look for the guidelines in other places. It’s worth mentioning that the guidelines can differ from one instructor to another: even the requirements for writing a separate lab report or including it into the lab notebook can be different. 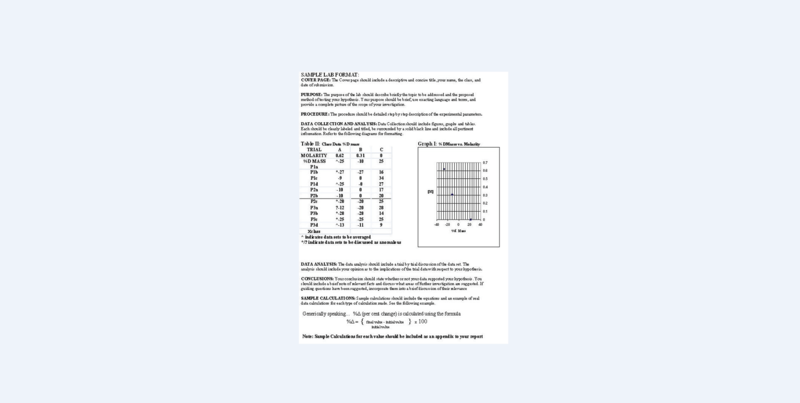 Follow this guide to write the best lab report of your studying process! Title page. 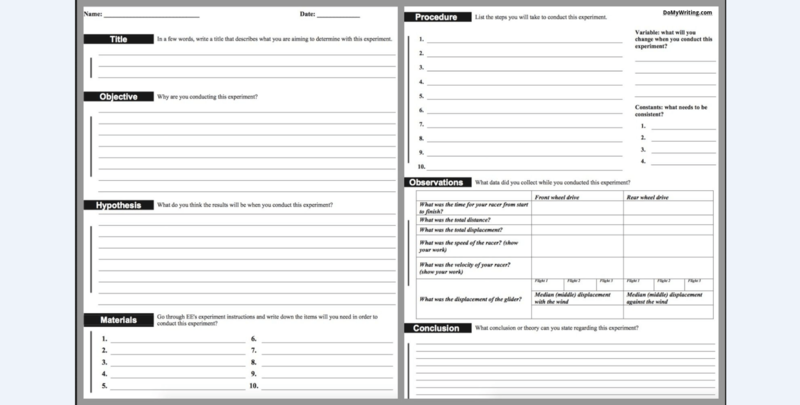 The title page is not a mandatory part of lab reports, but many instructors require the lab reports made by students to have a title page. In that case, write the following: the title of the work you’ve done, the name of the participants (yours and your partner’s), the name of your instructor, and the date the report was submitted or the experiment was carried out. Title. Any lab report should begin with a title. The title doesn’t need to be long – up to 10 words is considered to be the ideal title length. The aim of the title is do describe the main point of the lab experiment. It’s recommended to begin the title with the keyword rather than an article – this improves the clarity of the title. Introduction. Right after the title you have your introduction. Normally, the introduction is a single paragraph that describes the purpose of the experiment. Open the introduction by listing your hypothesis in one sentence. Next you need to describe the nature of the lab, the steps you’ve taken, and the results you’ve achieved. You can also write an incomplete form of the introduction – in that case it should include only the purpose of the experiment. Materials. 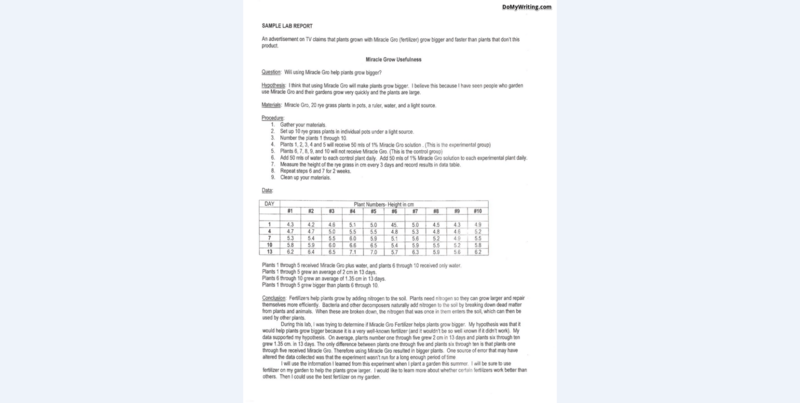 Create a list of everything you’ve used during your lab experiment. Methods. 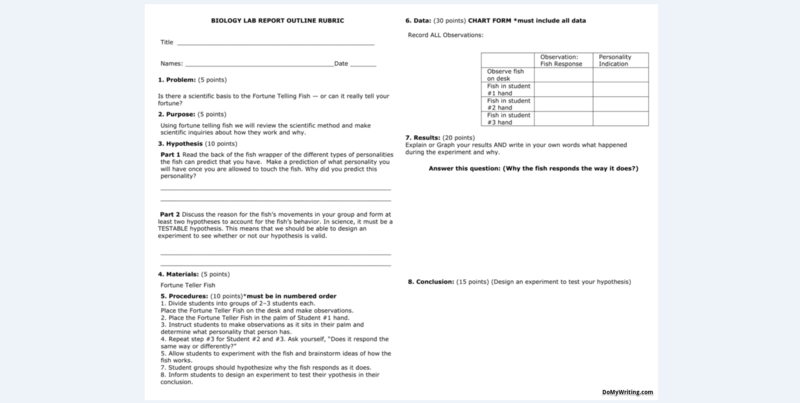 For this part of your report, describe in detail every step you’ve taken in the experiment. Imagine that someone needs to recreate your experiment simply by reading your report – this is how detailed and clear your methods description should be. Data. Everything you’ve discovered during the lab should be included in this part of the lab report. Usually this part is presented as a table, which means that the data entered here should be mostly factual and numerical – the assessment of the information should be presented later. Results. This is where you need to once again write what your experiment has shown, but this time you need to use words instead of data. Discussion or Analysis. This part is often combined with the results of the lab, but in case you are required to write it separately, dedicate this section of the report to interpreting the data. This section is also used for determining whether the hypothesis was accepted. If you’ve made one or several mistakes during the experiment, you can mention them in this part with possible solutions for future experiments. Conclusion. Like the introduction, the conclusion part of the lab report should be brief but effective. In a single paragraph, sum up the course of your lab and determine whether you’ve achieved the objective of the experiment. Figures and Graphs. Ideally, your report should be supported by a number of graphs that help you illustrate your points better. The graphs should be neatly done. Don’t forget to state the units of measurement and remember to correctly name and number the graphs and figures of your report. References. If you make references to other people’s works or cite various sources, use this part of the report to list the sources in the required format.